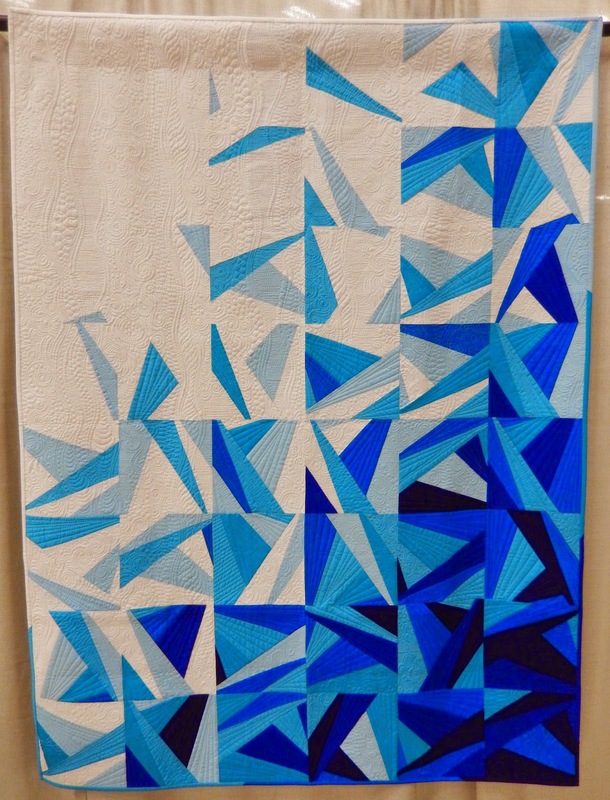 In my explorations of the quilts at Quilt Con, I set out to discover what made the quilts juried into the show stand out amongst the thirteen-hundred entries submitted, and be selected to represent modern quilting. I did notice a few trends. 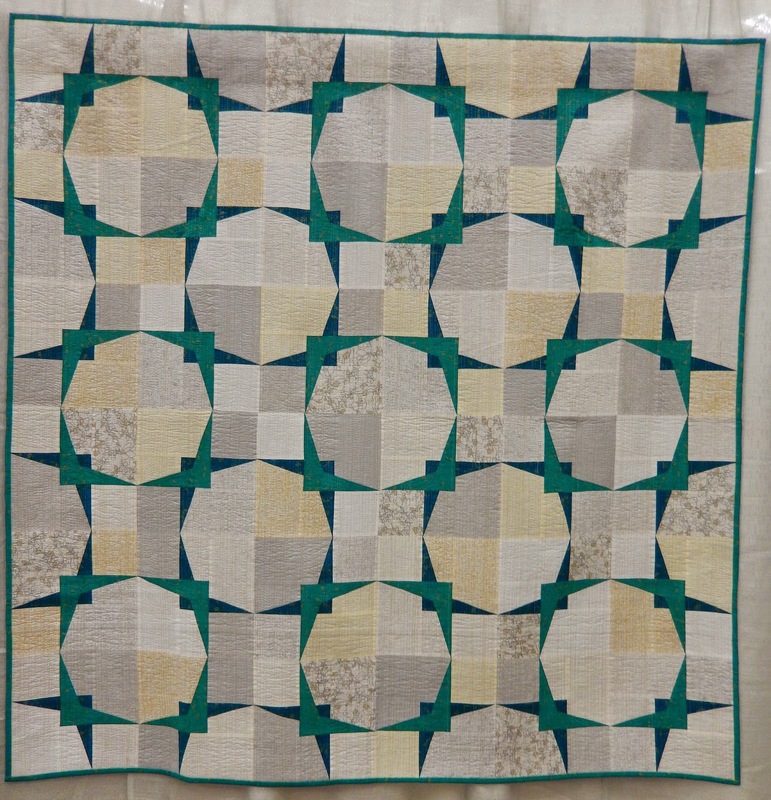 Some of the quilts at Quilt Con featured some really impressive quilting. 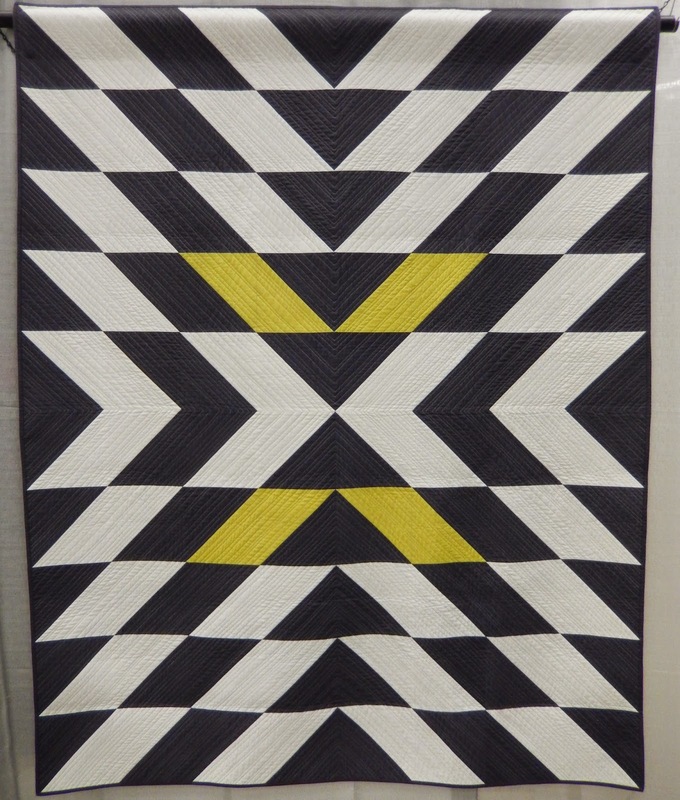 I loved the combination of straight lines and pebbles in this charity quilt. The use of free-motion shadow designs in this piece are jaw-dropping. What an incredibly generous gift this Boise MQG quilt will be! Here's another. I'm sorry there weren't any attributions on the display of charity quilts. Please comment if you know who is responsible for these incredible creations. The show also boasted some exceptional free-motion skill. The secondary designs created on Moving Target add another layer of artistry. How about a scoot back to see the full effect? The transparency of this Bias Tape Challenge quilt makes it even more mesmerizing. 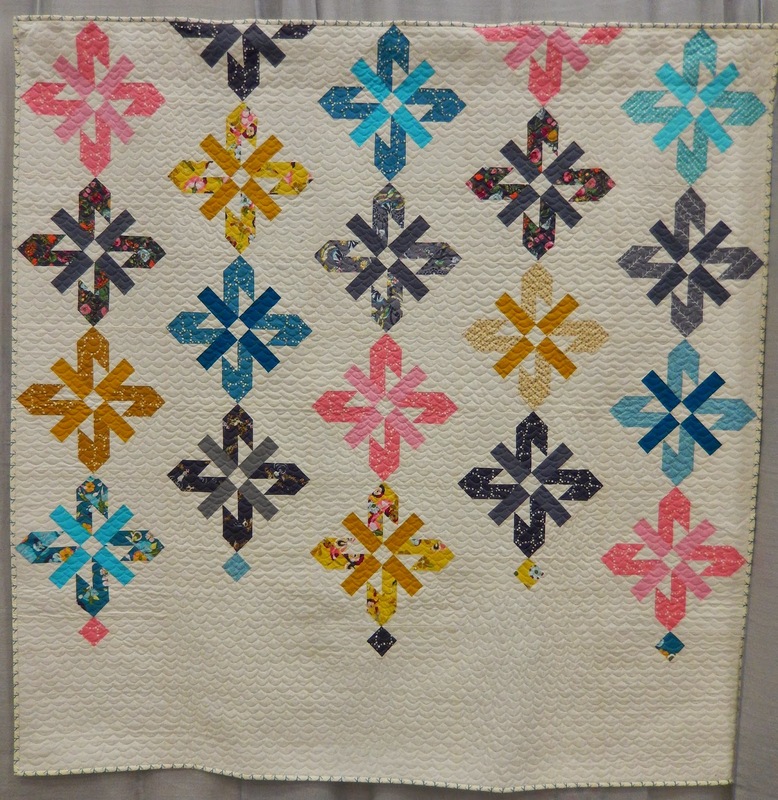 Many of the quilts at Quilt Con gave me a sense of deja vu, as I remembered them from recently-released publications or blog posts. Lee Heinrich of Freshly Pieced who co-authored Vintage Quilt Revival , Christa Watson of Christa Quilts, and Amy Garro of 13 Spools who wrote Paper Pieced Modern were well-represented, among others. 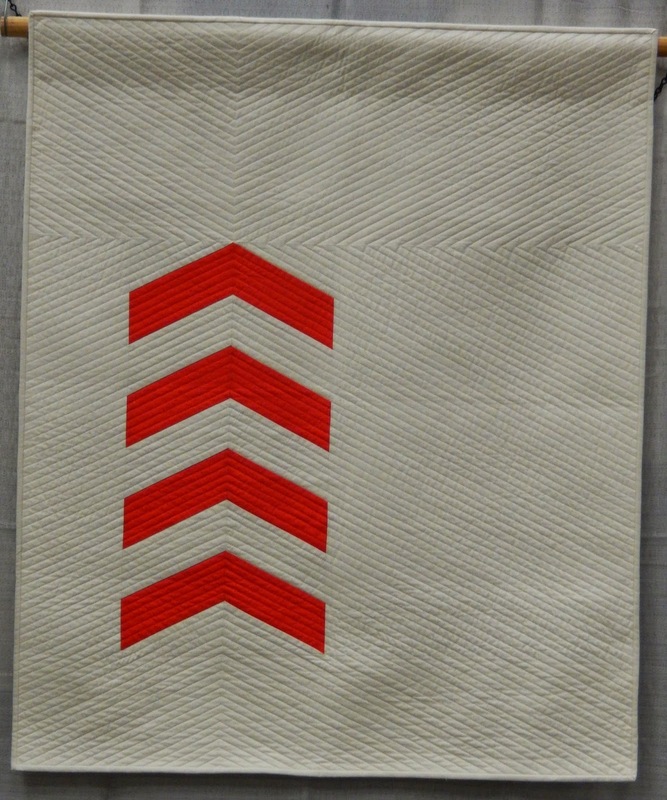 I would go so far as to say the majority of quilts at Quilt Con employed some form of straight line quilting, be it matchstick, big-stitch hand quilting, or parallel lines. If you attended Quilt Con or have followed the action online, have you noticed these characteristics, or are there others that stood out to you? I'll be back tomorrow with the continuation of my observations, so I hope you'll come back soon! Thanks so much for this! 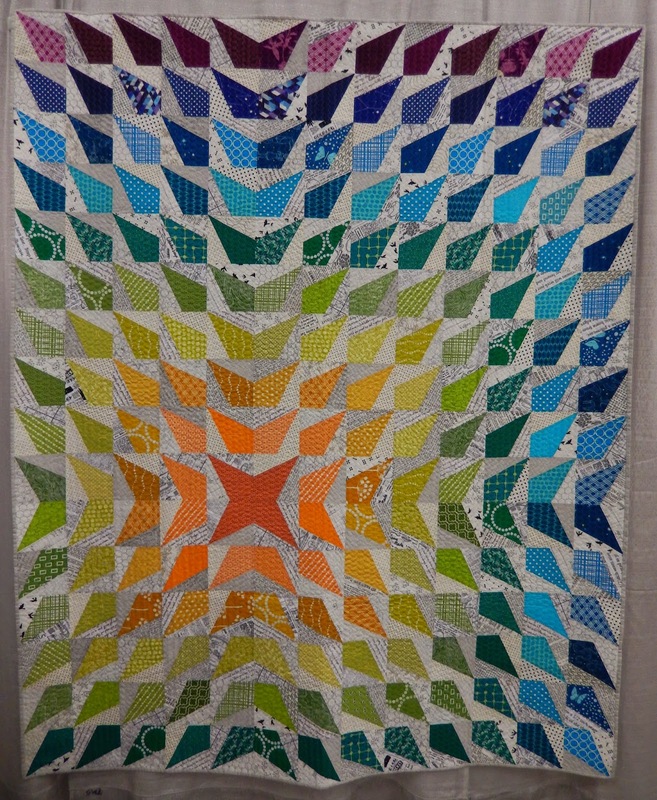 Love your trend spotting, that shadow quilting really adds a lot to the quilt alright.